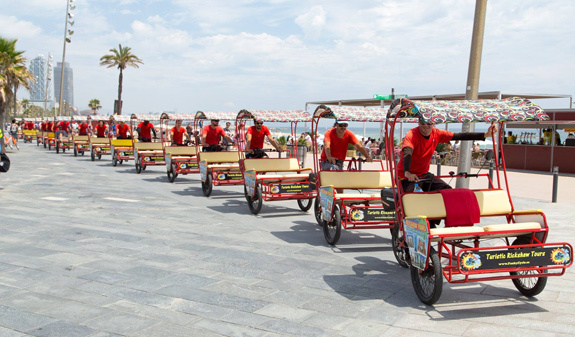 Discover Barcelona in a fun, environmentally friendly way! 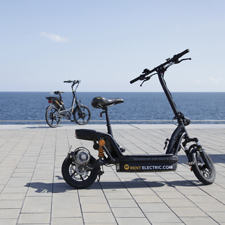 You'll explore every nook and cranny of the city on a fun and environmentally friendly means of transport. 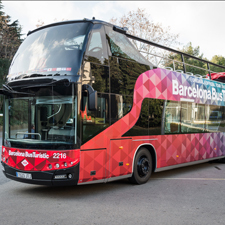 A unique opportunity to enjoy a pleasant ride while the driver explains all the secrets of Barcelona. As you will know, the rickshaw is a very popular vehicle in countries such as China, Japan and India. You're bound to have seen them in countless films or if you've travelled to the Asian continent. They've now been modernised and spread to other countries as they are a simple, fun and environmentally friendly alternative means of transport. Can you imagine what it would be like to discover the city by rickshaw?. 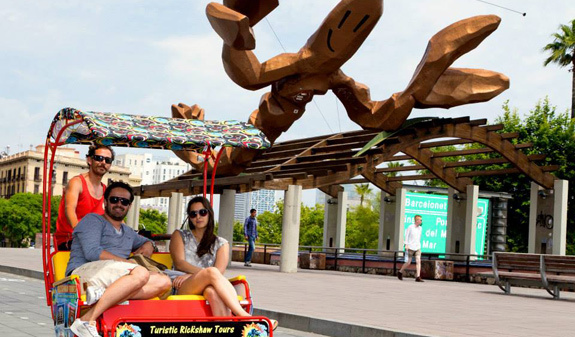 Most of the drivers are young, multi-lingual students who will take you on a pleasant ride while they show you some of 21st-century Barcelona's iconic spots. This original, personalised tour will allow you to explore parks, charming squares, boulevards, museums and much, much more!. Ciutat Vella route: a wonderful ride through the city that begins at plaça Colom, goes through the plaça de Pau Vila, along the passeig Joan de Borbó, through the plaça del Mar, along the seafront promenade, through the Olympic Marina, the plaça dels Voluntaris, along carrer de la Marina, Ramón Turró, Wellington, through the Parc de la Ciutadella, along passeig Lluís Companys past the Arc de Triomf and back to the plaça Colom. Length of tour: 1 hour. Gaudí route: a route to enjoy Barcelona, beginning with the plaça Colom continuing through the Parc de la Ciutadella, the passeig Lluís Companys, Arc de Triomf, plaça Tetuan, Sagrada Família, avinguda Diagonal, La Pedrera, Passeig de Gràcia, Casa Batlló, Palau de la Música and Arc de Triomf. Length of tour: 1h 45 min. 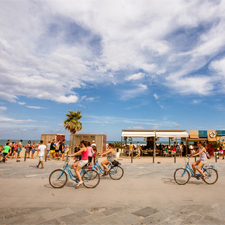 Forum route: a route to enjoy the delights of Barcelona beginning with the Olympic Marina and continuing through the Olympic Village, along the seafront past the Nova Icària and Bogatell beaches, along the seafront promenade, the Mar Bella beach, Diagonal Mar, the Forum site, avinguda Diagonal, 22@, past the Agbar Tower, Bellcaire second-hand market, along the Avinguda Meridiana, past the Teatre Nacional de Catalunya, Auditori, avinguda Marina and back to the Olympic Marina. Length of tour: 2h 30 min. 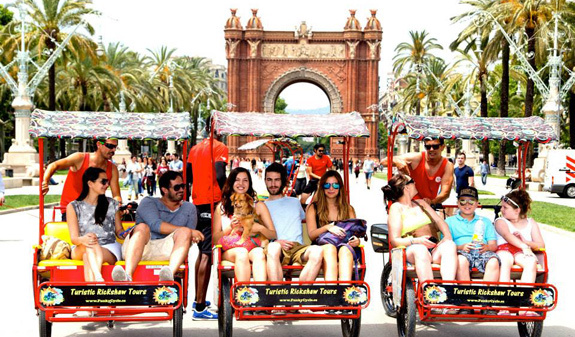 Guided rickshaw tour of Barcelona (you should buy one unit per person). 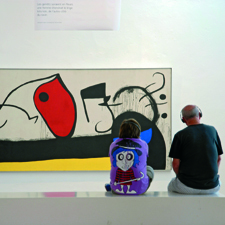 Times: every hour, from 11am to 6pm. Languages: English, Spanish, Catalan, French, Italian, Portuguese, Rumanian and Russian. Meeting point: c/ Llull, 11. Metro: L4, Ciutadella-Vila Olímpica stop or Bogatell stop and L1, Marina stop. Bus: 40, 41, 42 and 141. Young children must be accompanied by an adult inside the rickshaw. You should buy one unit per person.